A number of months ago an opportunity came across my desk to take a trip to the Dominican Republic. It was a cruise with a new company, Fathom. What intrigued me about Fathom, and the trip, was the fact they focus on impact travel, or travel with a purpose. An underlying reason for much of our family travel has been about educating our children, learning about other cultures, and exposing them to life outside our “bubble”. I thought Fathom would give us these things as well as an opportunity to make a difference in the lives of others, and I am happy to report, it did that and much more. Thanks to Fathom for inviting my family to experience this cruise. All opinions are 100% my own. 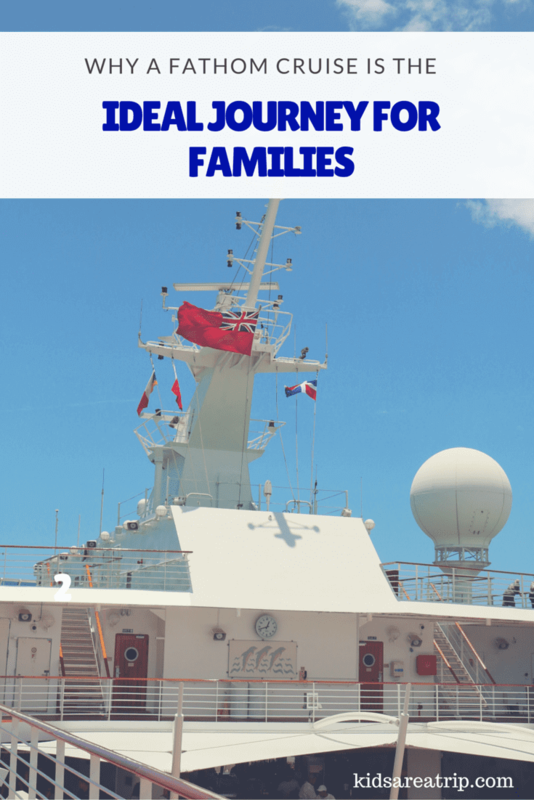 Prior to our Fathom trip, our family had never taken a cruise. The only thing my children knew about cruise ships was what they had seen on television. You know the commercials with the water slides and rock climbing walls, the ones touting an endless party at sea? I hesitated to tell them Fathom was not going to be “that” type of cruise. 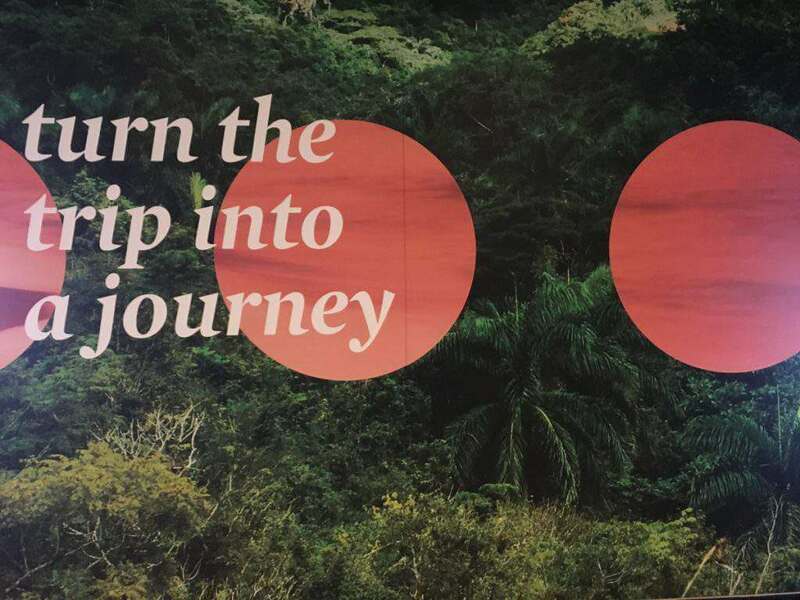 This is how Fathom describes themselves: Every Fathom™ journey is based on our sincere belief that the person-to-person connection is among the strongest catalysts for transformation. What sets Fathom apart is the long-term, systematic partnership approach with its partner countries paired with the unique business model that allows for sustained impact and lasting development. Fathom’s scale and global vision reach beyond what the world has ever seen. 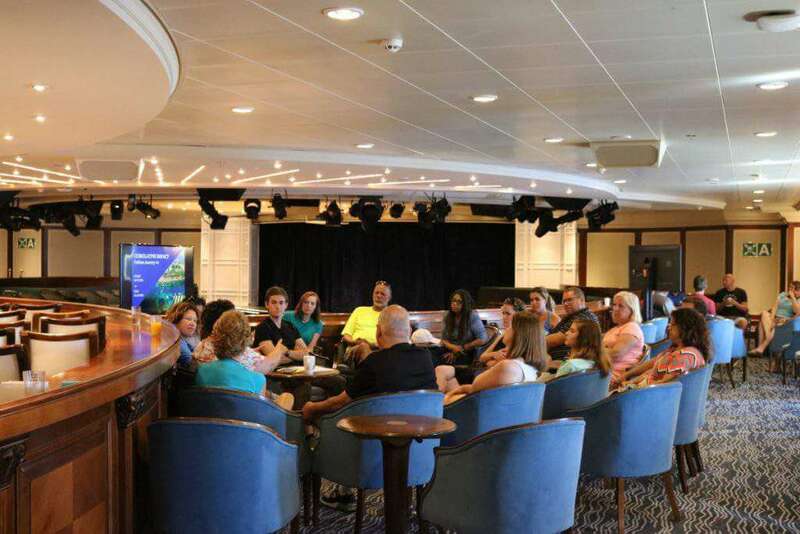 Basically, Fathom has identified opportunities within the Dominican Republic where a partnership can be made between businesses and the volunteers Fathom brings on their cruise ships. 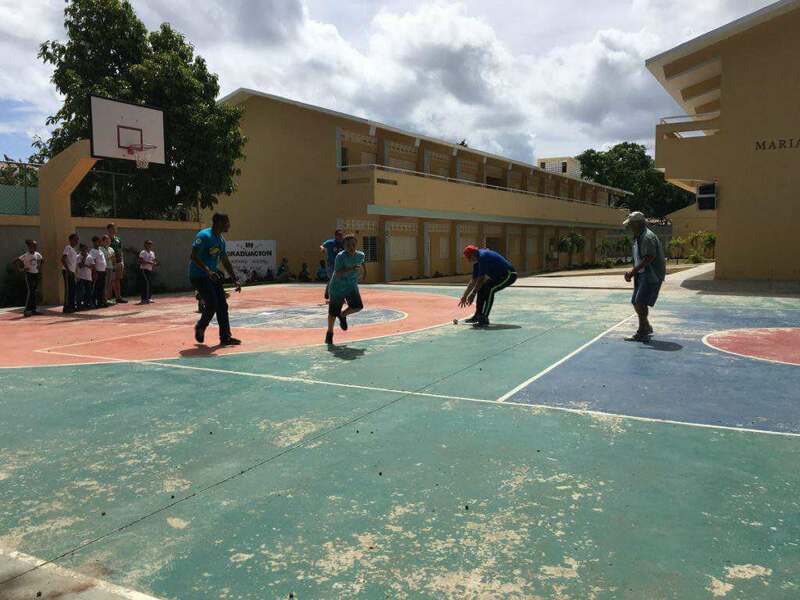 Prior to departure, passengers are encouraged to choose “impact activities” they will participate in during the three and a half days they are in the Dominican Republic. The options include: building water filters, teaching English in the community, reforestation, working in a women’s cacao co-op, pouring concrete floors in local homes, working at a paper recycling co-op, or teaching English to students in a summer camp (or classroom during the school year). Passengers can sign up for as many activities as they wish or none at all, it is completely up to the individual. 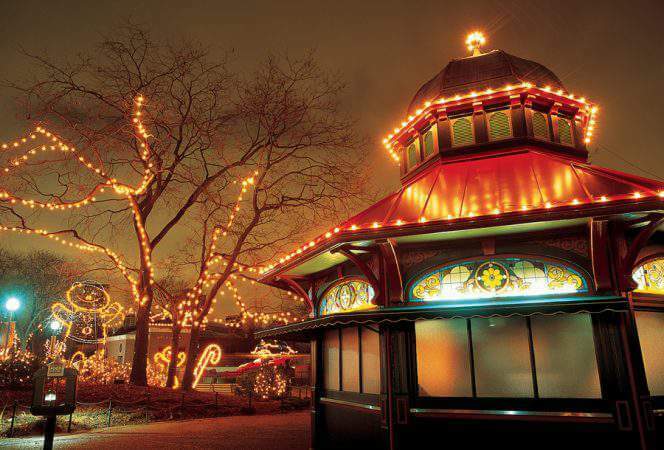 By participating in these experiences passengers are making a difference in the local communities. 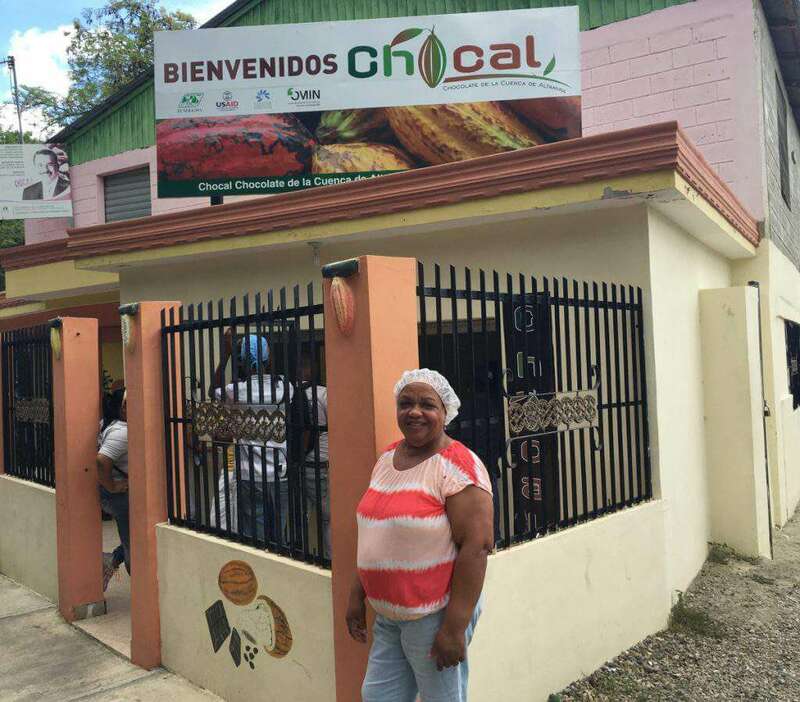 Chocal is a co-op managed by 22 women dedicated to producing organic chocolate in their community. Fathom passengers have an opportunity to work along side these lovely women and their families. How do you prepare your children for this type of experience? I honestly didn’t know where to begin. We told our children we would be traveling to the Dominican Republic to explore the island and connect with the locals. We discussed the poverty on the island and the need for its citizens to learn English to increase their job opportunities. This journey with Fathom would allow us to help the locals and give me time alone with my two older sons. The Fathom ship is the Adonia, a 710 passenger ship which carried around 500 passengers when we sailed. This was quite intimate compared to major cruise lines like Carnival (Fathom’s parent company) which regularly carry between 3,000 and 4,000 passengers. There was one (yes, one) swimming pool and two hot tubs, a gym, a spa, a library, a coffee lounge, two shops, a couple of bars, and several restaurants (including an all day buffet). The size of the ship made it easy to find the kids when we were separated. The boys made several friends on the boat and they were together from sunrise to bed time. I knew they enjoyed being with their friends, so I would check in occasionally to make sure they weren’t causing any trouble. I think they appreciated their freedom and I did too. The swimming pool and hot tubs on the Fathom. While at sea, Fathom offers plenty of activities to keep passengers engaged and entertained. There were Core Programming classes throughout the day to help prepare for our arrival in the Dominican Republic. These taught us about Fathom’s mission, our journey, and Dominican history. Other sessions like Social Innovation gave us tips on how to raise the next generation of change makers. There was a storytelling workshop showing how to creatively put the story of our time and experiences in the Dominican Republic into words. Every workshop I attended was worth the time. The variety of classes offered many opportunities to learn about Fathom and your fellow passengers. And what would a cruise be without entertainment? Every day and night there were activities and parties from yoga to the ever popular Super Hero Party. One night was Band-e-oke (like karaoke with a band). Let’s just say there were a lot of memorable performances. There were movies every evening and music in the lounge. There was no kids’ club, no computers, just a library and board games for extra entertainment. You know what? My kids survived, and they were happy, and never once complained about missing their phones we left at home. There was plenty for them to do. 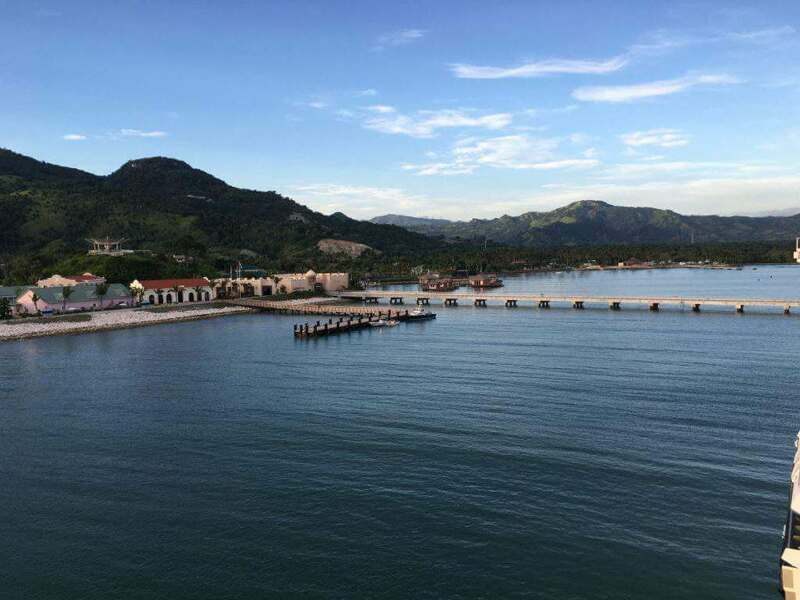 In the Dominican Republic, the ship docks at Amber Cove, a 25 acre port built by Carnival. Here passengers can enjoy the water park, zip lining, shopping, or dining at the restaurants before or after their impact activities. We found it to be a great place to relax after a day in town, connecting with other travelers and sharing our experiences. The kids enjoyed having another place to run around since the pool on board was drained while we were docked. We slept on the ship each night, but had the option to eat in town, at Amber Cove, or on the ship. It was a great home base. The water park was a nice change from the pool on the ship. I wanted our experience to be a mix of getting to know Puerto Plata, the locals, our traveling companions, and helping in the community. When we wanted to explore on our own there was a reliable system of taxi drivers available in Amber Cove with set rates. When we had impact activities, transportation was via comfortable mini buses to each site. We enjoyed meeting other travelers on the ship and during the impact activities, as well as working side by side with the locals. The trip was everything I wanted it to be and more. I know my kids would say the same. 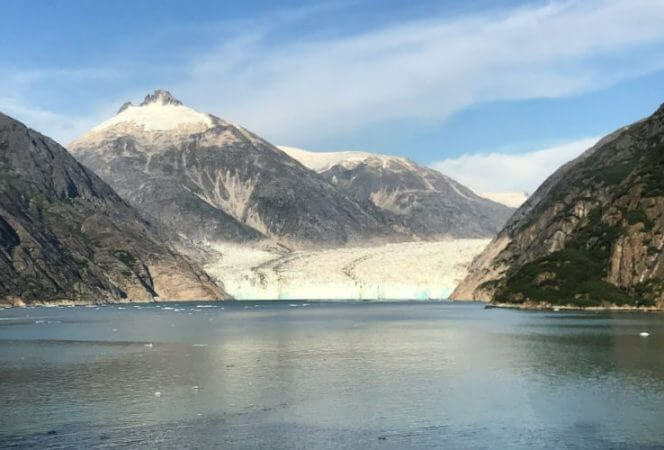 This is Amber Cove from the ship. 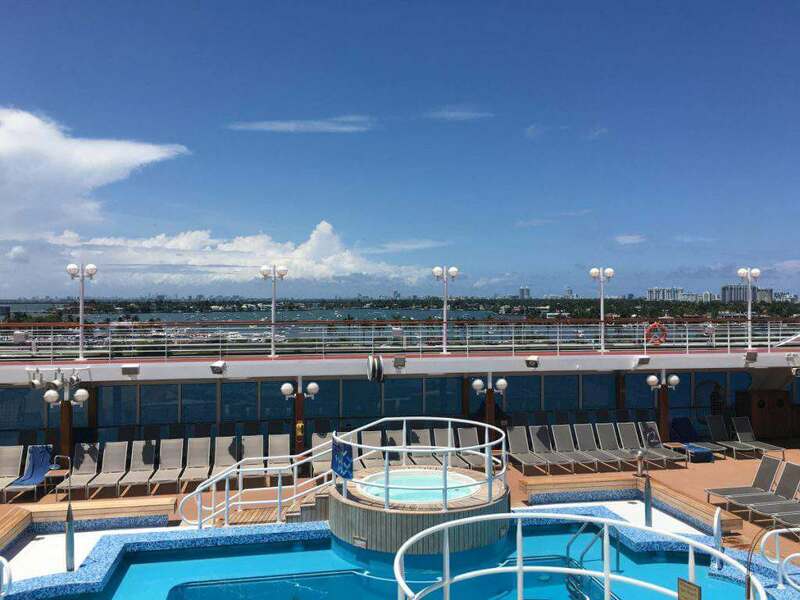 Having never been on a cruise before, I had no expectations, nor did my children. I loved that they were unplugged the entire week (I used our available wi fi minutes for work and calling home) and found ways to interact with other children they wouldn’t have met if their faces were glued to their phones. My kids played more board games than ever before. The attire on the cruise is casual. No fancy dress up nights, which my kids would hate, but they could dine in the nicer dining room if they wanted, dressed as they were or in their collared shirts and khakis. I loved traveling with like minded travelers which made connections easier for myself and my children. 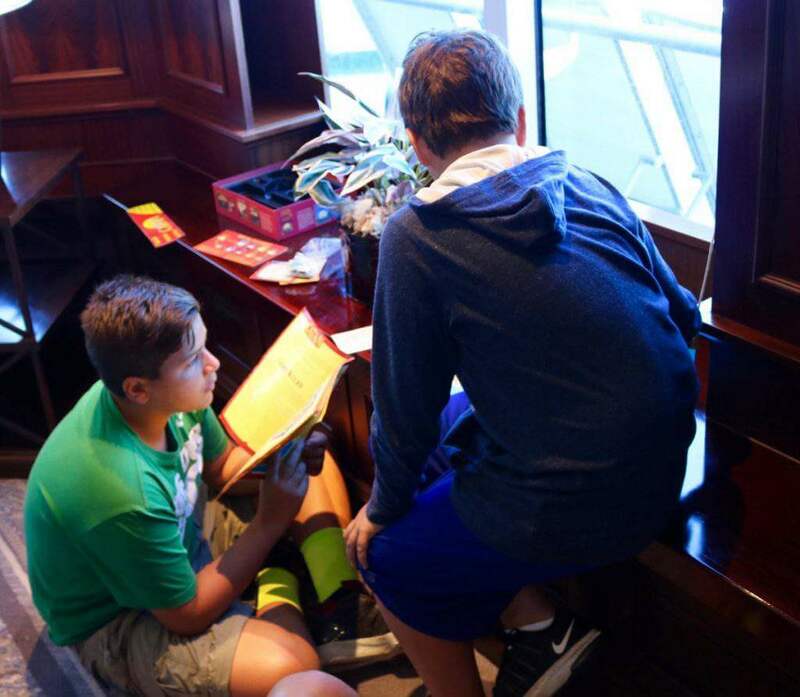 The majority of us chose this cruise for one reason: to help others. That gave us a common foundation which allowed us to connect on a deeper level than you might encounter on a typical cruise. We made friends on the boat who we will stay in touch with long after the cruise is over. There were inspirational quotes throughout the ship. This one really stuck with us. Our family mantra is: traveling is an education. This was a special opportunity, not only to expose our children to another culture but to teach them about themselves, our family, and how fortunate we are to live where we do. We connected with locals on many different levels, from the taxi driver who took us to his home, to the school children who brought us in and let us be their teachers and friends, to the women at the cacao factory who showed us the meaning of hard work and love of community. 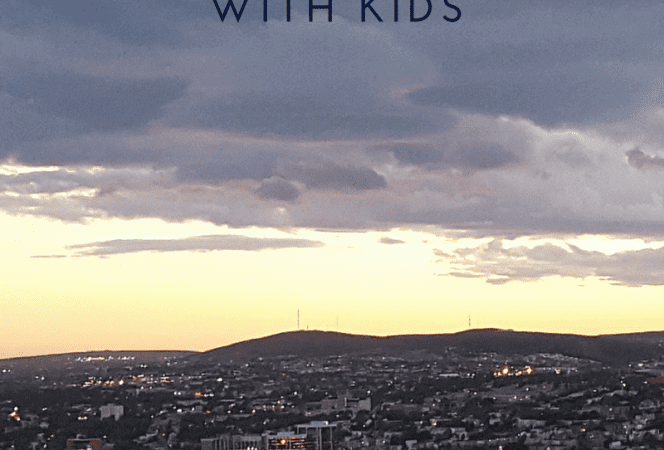 We came away with a new found appreciation for those in need and realized our family needs to make more time for helping others not only when we travel, but at home as well. The kids loved playing baseball with the local kids during their summer camp. There are so many other rewards that came out of this experience, but I feel I’ve already been too wordy. Fathom also offers social impact trips to Cuba. If you’re interested in learning more you can visit the Fathom website. If you want to book your voyage, use the Insider Code, Insider 1575 when booking for additional savings. If you have any other questions about a Fathom cruise, please ask as I love sharing our experience!